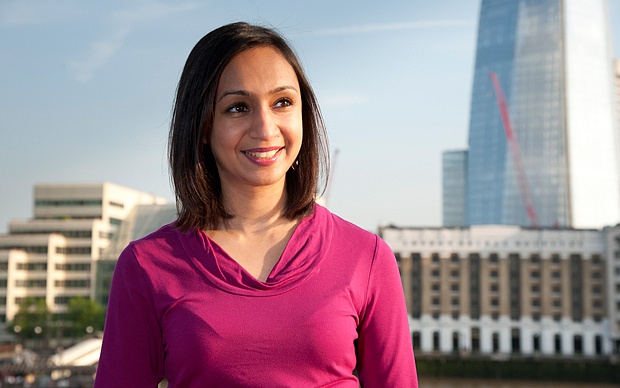 Indian-origin structural engineer Roma Agarwal, who helped build Europe’s tallest building, the Shard, in London, has been invited to Buckingham Palace by Queen Elizabeth II. Roma will join a group of other female engineers at a reception being hosted by the Queen to encourage more women to take up the engineering profession. The Queen’s support comes at a time when a report is expected to reveal that Britain lags behind other nations in the status it gives to the profession. Only 6 per cent of registered UK engineers and technicians are women, the lowest number in Europe and just 15 per cent of UK engineering students are female. Roma works for WSP Group, a UK firm providing property engineering and management consultancy services. At just 29, Roma has already been widely recognised for her work. She was awarded Young Structural Engineer of the Year award in 2011 by the Institution of Structural Engineers, rated ‘Best in Science & Engineering’ at the British Indian Awards 2013 and was a finalist for the Young Woman Engineer of the Year run by the Institution of Engineering and Technology. Roma grew up in Mumbai, India and moved to London when she was 16. She attended the University of Oxford and studied physics there and later did an MSc in structural engineering at Imperial College London. She joined WSP Group as a Graduate Structural Engineer. About why she chose engineering, Roma says, “When we were growing up, my father encouraged us to play with lego and mechano, I’m sure that played a part in my career choice! I have always been interested in architecture and did an A-level in design & technology. I worked with mechanical engineers at Oxford University one summer and found their work really interesting (they were designing particle accelerators at CERN!). It was then I decided I wanted to be an engineer.